Here it is. 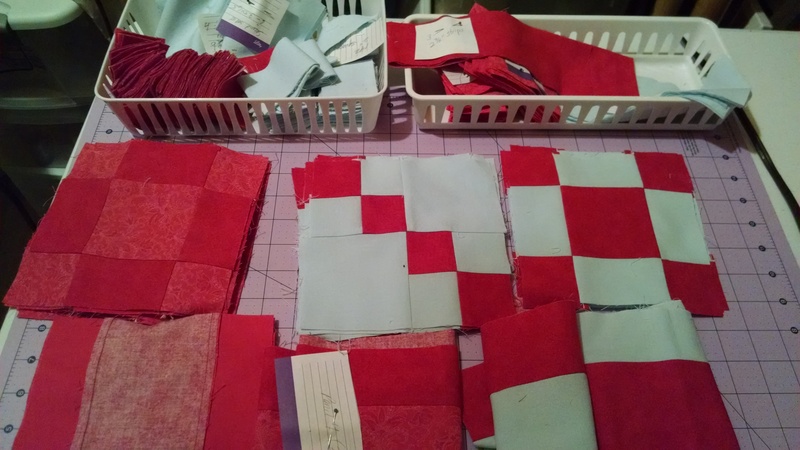 Piles of pieces, which my local quilt club, Midland Quilters Squared, tells me will become a quilt suitable to be shown in their show next spring. 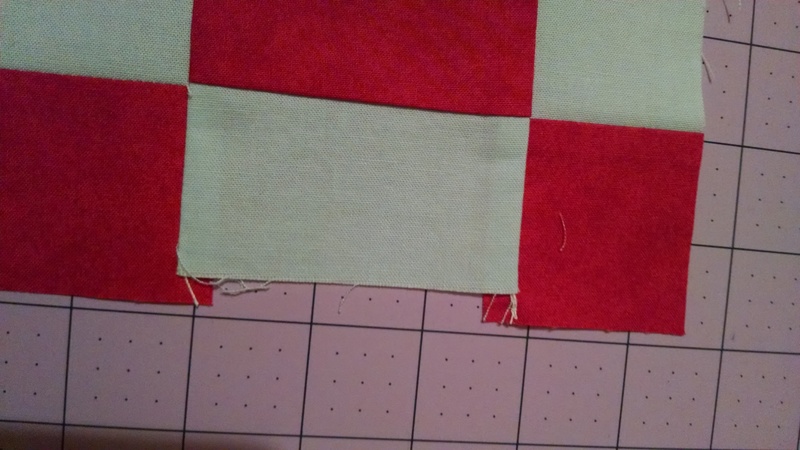 This is my first mystery quilt experience, and I have some doubts. This could be in part because my edges aren’t exactly even. What is this? There will obviously have to be some fudging involved. I can’t very well start fudging until I get the gist of what is to come, though. It is called “The Cat’s Meow”, so some of you may have knowledge of the pattern. I stuck with plain fabrics in case there are actually cats involved, thinking I can dress it up with quilting. Now you see why I am not crazy about traditional quilting. I’d say I may not be very good at it. I’ll show you my vintage quilt rescue progress in my next post. That was so badly pieced that I will again feel good about my skills. Meanwhile, feel free to send me your best piecing tips in the comment section. 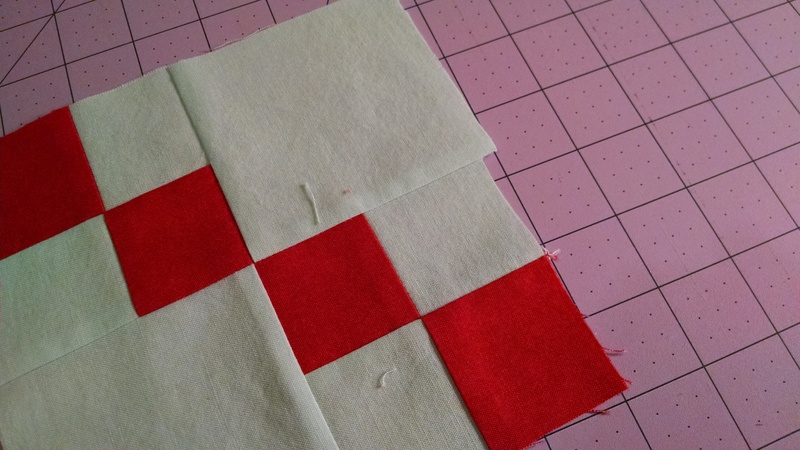 Piecing tip: don’t worry! We all do it and you can’t tell in the end! I’de live to see if you finished this quilt. Great timing! The mystery quilts appeared in the QuilterSquared show just this weekend. Will post photos by tomorrow. Thanks for the encouragement!